In a meeting yesterday we were speaking about the power of the individual to create change in the world. I shared the story of Tamara Van Staden who as a grade 7 student created Heartprints — Kids for a Cause Foundation. At 12 years of age, Tamara knew not only how to make a difference, but the importance of taking action. Seven years later, she still does. Not a huge enterprise, Heartprints has huge heart. Since her first sale of handmade jewellry in 2007, Tamara has raised almost $12,000 dollars for local charities in the homeless sector. She engages countless volunteers to join her in making jewellry, washcloths, scarves and other articles which she sells at events throughout the city. All net proceeds go to agencies in the sector. Everyday Tamara and her volunteers do something to make the world a better place. Everytime they sit down to spend ten minutes or an hour creating crafts to sell, they are sending out ripples of better in the world. If each of us took 10 minutes everyday to do one thing to make the world a better place, the world would be a different place. It doesn’t have to be on a grand scale. That’s not the point. It just needs to be an act of grace that instills a sense of possibility, hope, connection… into the world. So…. here’s an idea on one simple thing you can do today to make a difference. Visit the Heartprints — Kids for a Cause Facebook Page and like it just to let Tamara know you stand with her. See, it’s easy to do one thing everyday that makes a difference. 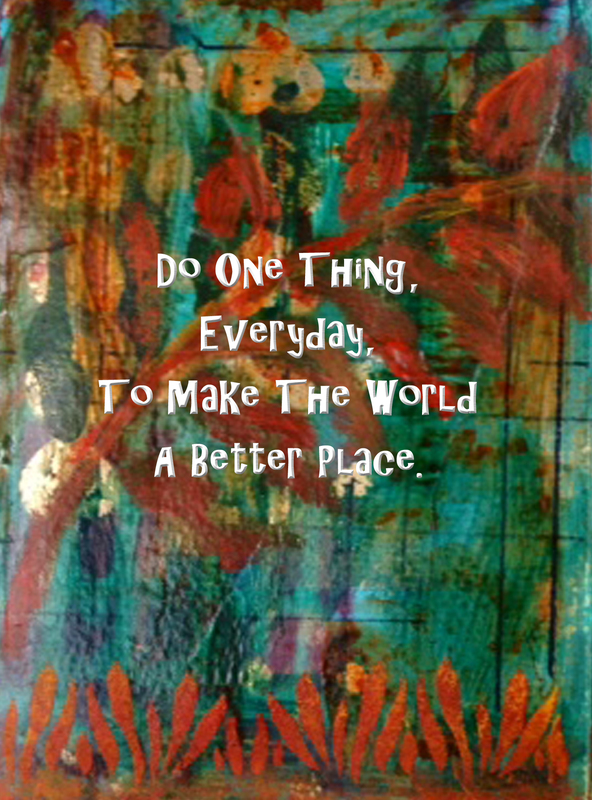 What are some of the things you do every day to create grace in the world? Please do share. You will be inspiring everyone and creating better in the world because of what you share! Categories: Make a difference, Uncategorized | Tags: daily acts of grace, heartprints -- kids for a cause, ripple effect, tamara van staden | Permalink. It’s easy for you to do everyday acts of grace — like this post — because of who you are, Louise And each time you post, you make it easier for us to join you. Wonderful message, Louise! I will def LIKE the page for Tamara. Great ideas to make a difference today. Thank you!! Thanks Lisa! She is an amazing young woman. And thank you for making a difference in my world today! Love this post Louise. Love you too. ❤ I'm heading out shortly and will do my best to make a difference while out. I just joined her group on FB – wonderful post! Thanks for the reminder Louise. What is really great about acts of grace is that they are 2-for-1. It lands as a blessing for the giver too!